I choose Coffee Alley over Dazzling Cafe (so overrated) anytime, and not only because of the shorter waiting time, or neutral-colored interiors, but for their delicious drinks and sweets! I’m also glad to see them expanding their menu from time to time with some major finger-licking food. All the drinks exceeded my expectations. It’s clear they put a lot of thought into the taste showing-off the high quality ingredients and presentation. 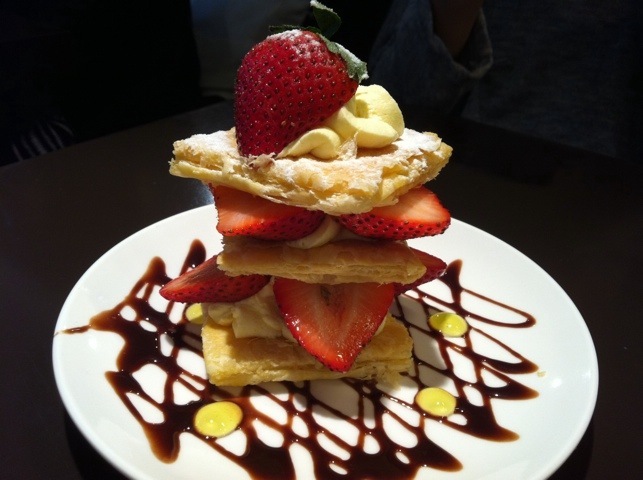 This dessert is popular amongst my friends but I didn’t care much for it. I liked the crispy texture of the pastry, but it was difficult to eat and the ‘icing’ is a thick whipped butter cream- meh. 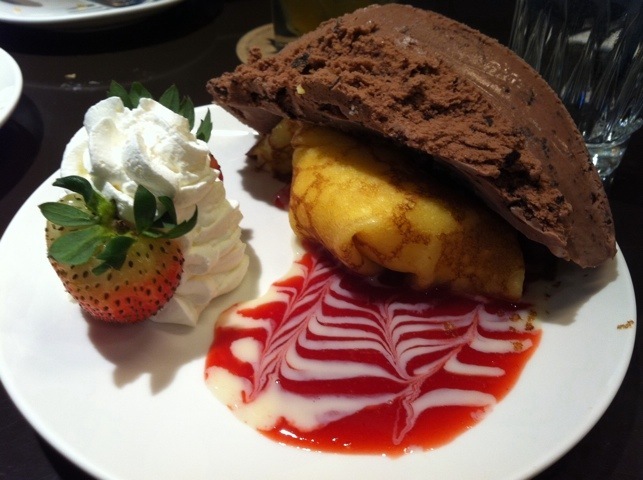 The chocolate ice-cream was suprisingly good, but the big blob of custard wrapped into the crepe was just too much. The combination of sauce, custard, ice-cream, and crepe were all too sweet so we deconstructed the dessert as we ate. 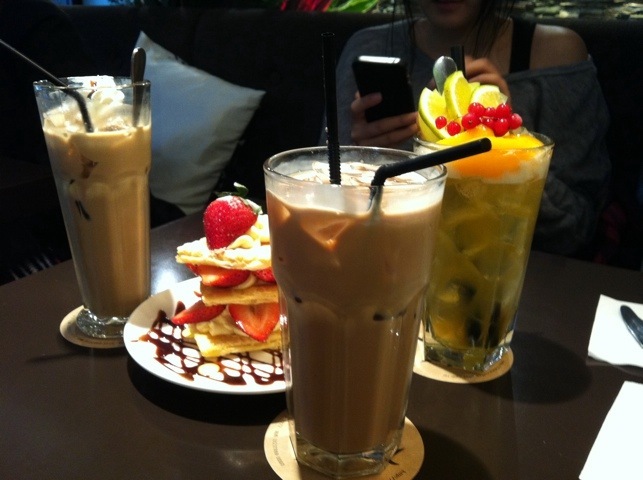 Although there are some misses due to personal preference, Coffee Alley is skilled at satisfying my sweet tooth. It’s tough competition for coffee houses in Taipei but this particular cafe is the one worth going! I’ve only been to their Chung Xiao and Dun Hua location, but they now have 3 other locations including the new ATT4FUN. Note: Try their waffles!